Yes, it was the phenomenon of the decade, when George Lucas first dropped us head-first into the world of Luke Skywalker, Princess Lia and Darth Vader. 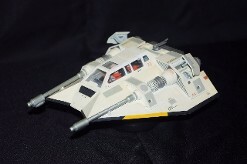 The opening scene of that film, with the Republic Corvette being pursued by the Imperial Star Destroyer cruising "above us," was a masterstroke of cinema special effects and evidence of movie model-building "par excel lance." 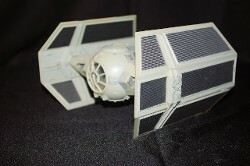 Needless to say, when these models became available, anyone who was "sci-fi motivated" snapped them up. 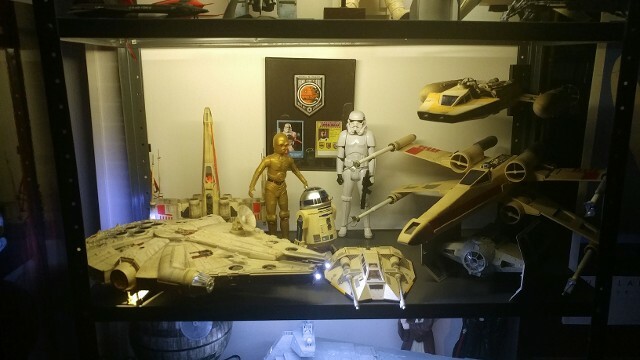 Most of the Star Wars models I built are now many years old, done either after the initial release of the kits, or shortly thereafter. 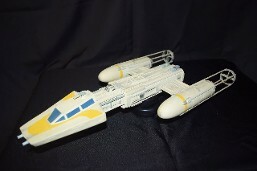 One model which I built from scratch, but is now commercially available, was the Y-Wing Fighter. 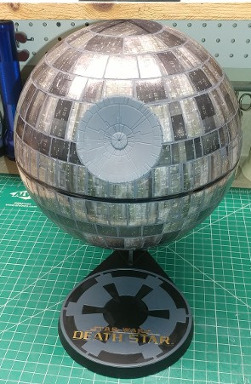 The ship played a big role in the first film's final scene, so I felt compelled to build one myself. 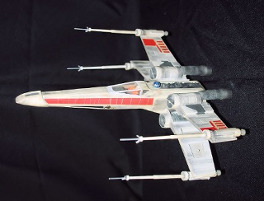 It was intended to be a "flying model," capable of rocket powered flight and parachute recovery. 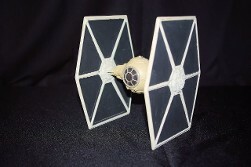 Likewise, the TIE Fighter was originally an Estes Industries product, which used the big side solar panels of the TIE Fighter as "fins" for powered flight. A "normal" model rocket core slipped through the center of the fighter to configure the model for launch. 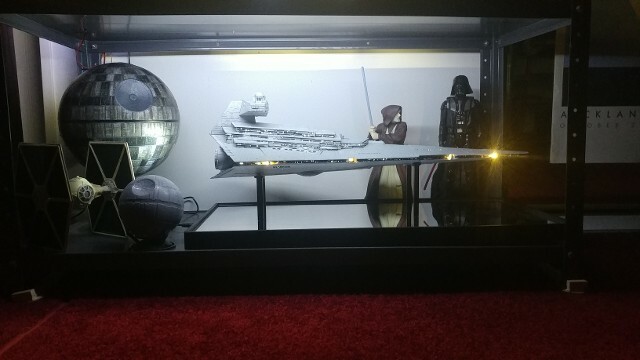 In recent weeks, we've done some "additions and renovations" to our Star Wars fleet. 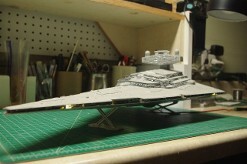 The build of the Revell/Zvezda 1/2700 scale Imperial Star Destroyer is the first big Star Wars model project in quite some time. 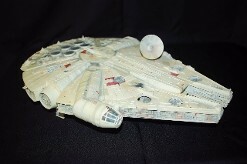 The work on that model compelled me to do additional renovations to our original MPC 1/72 scale Millennium Falcon, to increase the accuracy and look of the model. Click on the photo "page links" below to see more details.